Lets suppose you have a product whose cost is quite high.You might feel that you could attract many customers when the product is sold in installments. 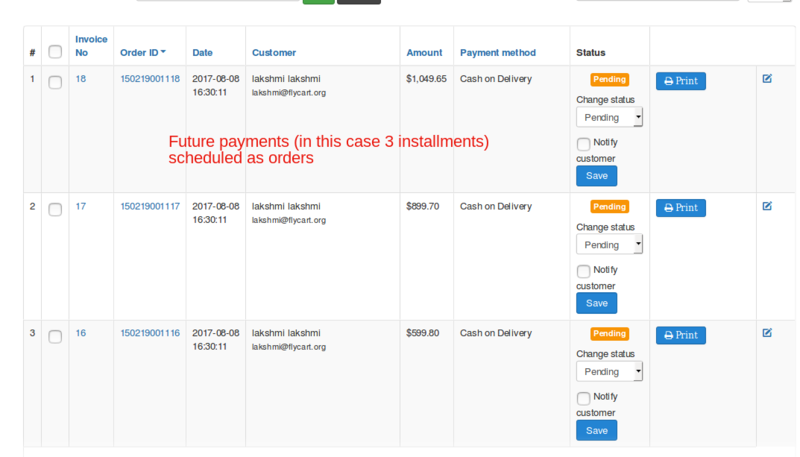 Now that we re all set to receive payments in fragments, you might also want an effective way to maintain the orders and their payment schedules. This can be done efficiently choosing the partial payment mode as PLANS. 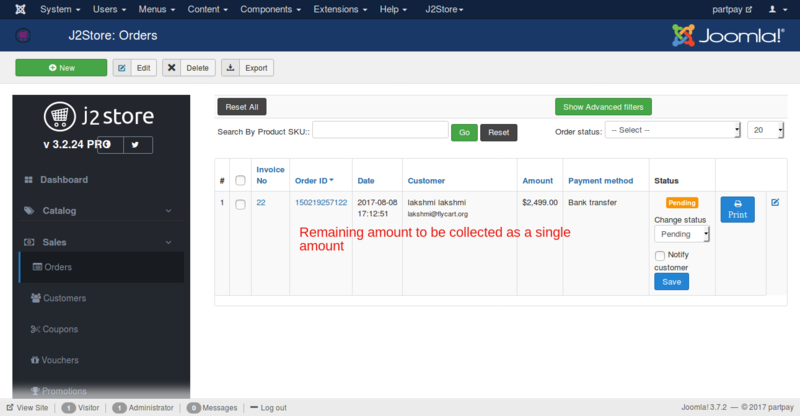 So now that the user places the order and completes the first installment,you might wonder how the rest of the payment would be kept track of. In this case when the due date approaches, the users and the store administrators would be notified. But this time we are going to get a percentage of the total amount as deposit and the remaining later. For this we might make use of the percentage type under partial payment type. 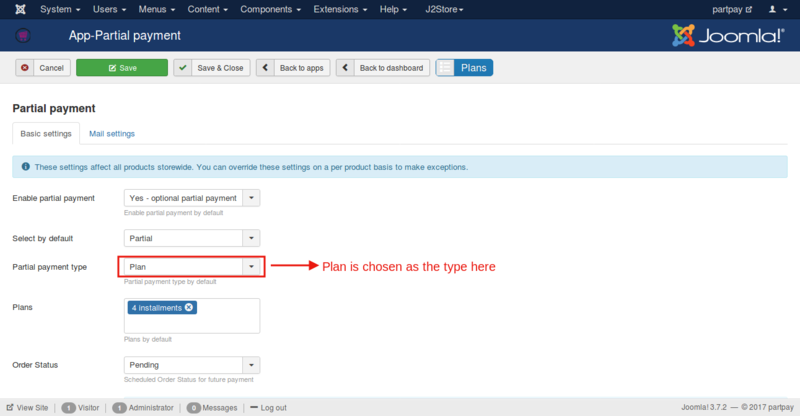 This type is a simpler version of the plan type.It has all the features alike plan mode except for setting up the installment duration. 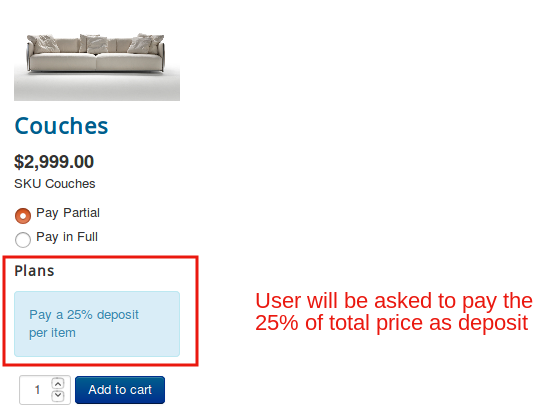 Now we are planning to collect 25 % of the total amount as initial deposit. 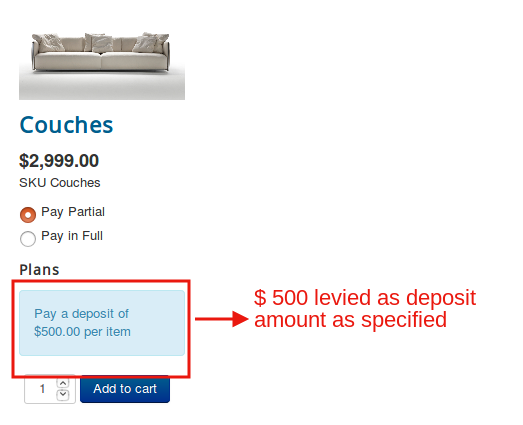 In the case of selling a couch you wish you could get $500 out of $2000 as the initial payment. 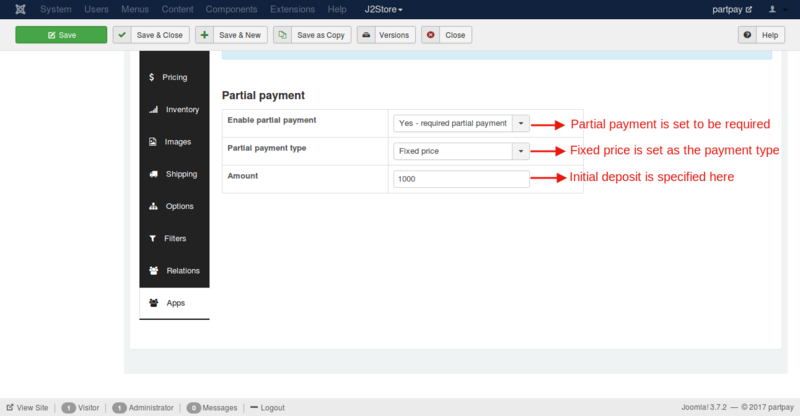 If you wish to configure partial payment in another way when compared to the normal global settings then that is always possible with the product level settings. 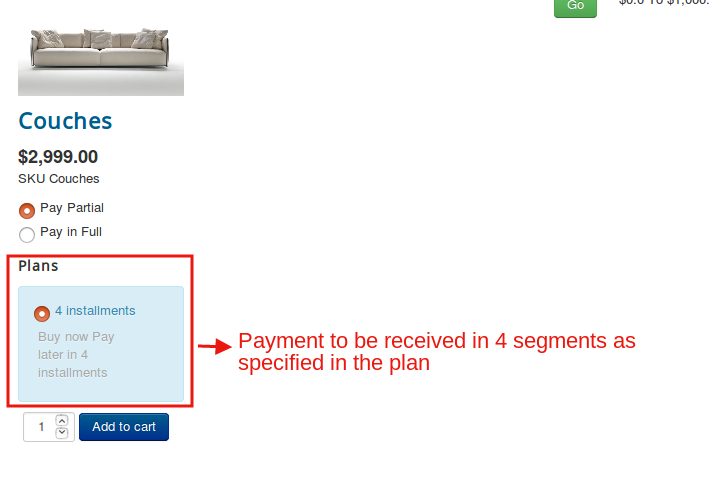 When a product-level setting is configured for partial payment that would override the global setting. 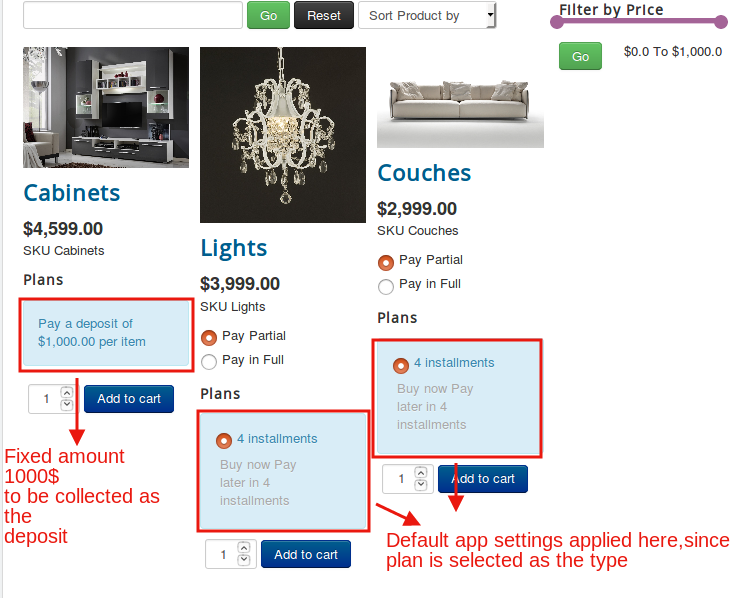 Open the product article for which you would like to sset up different partial payment settings. Click on the 'Apps' option on the left side menu.